Network Cafe is all about connecting coffee addicts with exceptional coffee. Located on Aungier Street, opposite to the DIT Kevin Street, this gem has everything to indulge my coffee cravings. From tasty beans to uber-positive people, I know I am in good hands. The team led by the owner Ollie did a great job to bring us a fabulous new spot to Dublin’s coffee scene. The cafe’s decor is both delightful and energising. The huge front window is the source of natural light, thanks to which the coffee shop is always bright. Light brown tabletops, shelves, and a window bar table play well with the warm grey walls. 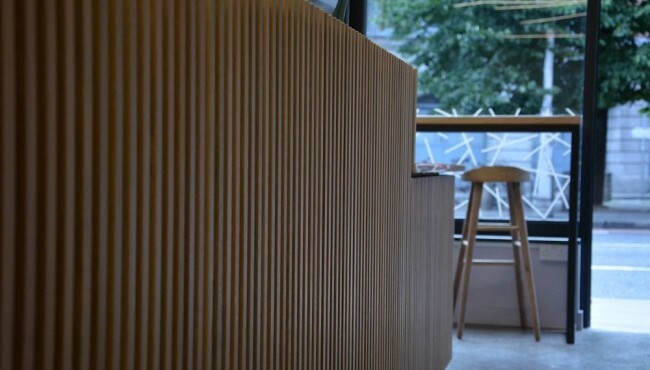 The barista counter is clad in plywood slats. The whole design gives the space this airy and open feeling. 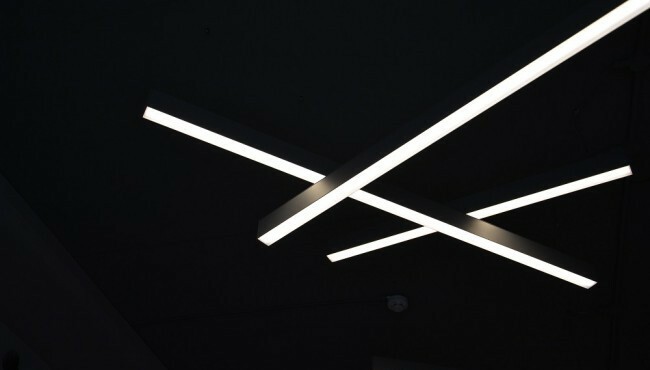 Cross-line industrial light fixtures add a bit asymmetrical fun to Network’s design – a nice stylish twist. It reminds me how unpredictable and alive coffee is. My coffee never disappoints. Always creamy, perfectly brewed, full of flavour. The gang offers a range of beans to coffeeholics such as 3FE and Caravan Roastery. 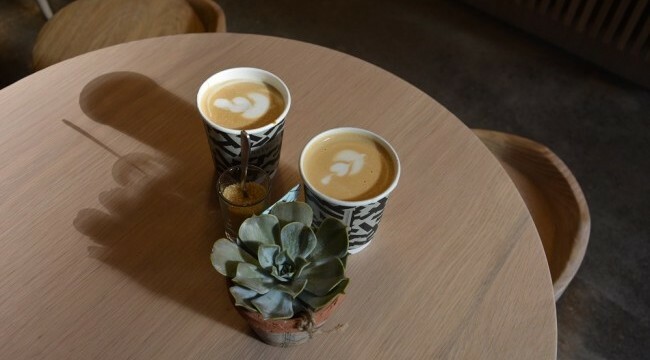 As a sucker for flat whites and latte art – I love a good old tulip or a pirate served with my coffee – I am spoilt for some really fab designs. Daniel and his team know how to pour latte art to delight and surprise. Plus, they serve iced teas, and cold brew in case you need to cool down this Irish summer – apparently summers do happen in Ireland too. As far as food goes, rest assure, your stomach is covered. From pastries from Bakelicious and Love Supreme to NYC style sambos from Juniors Cafe and Deli, Network Cafe has something for everyone. 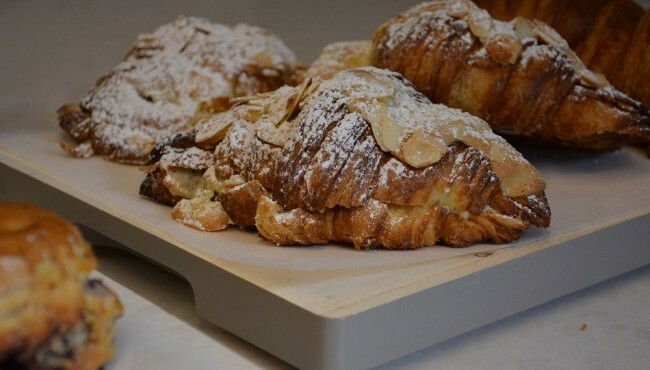 All of that makes this boutique coffee-house a great lunch spot for anyone who needs to reconnect with friends or their inner self over coffee and a croissant. Make sure to stop by and say hello. This bunch of lovely coffee lovers will get you caffeinated in no time. 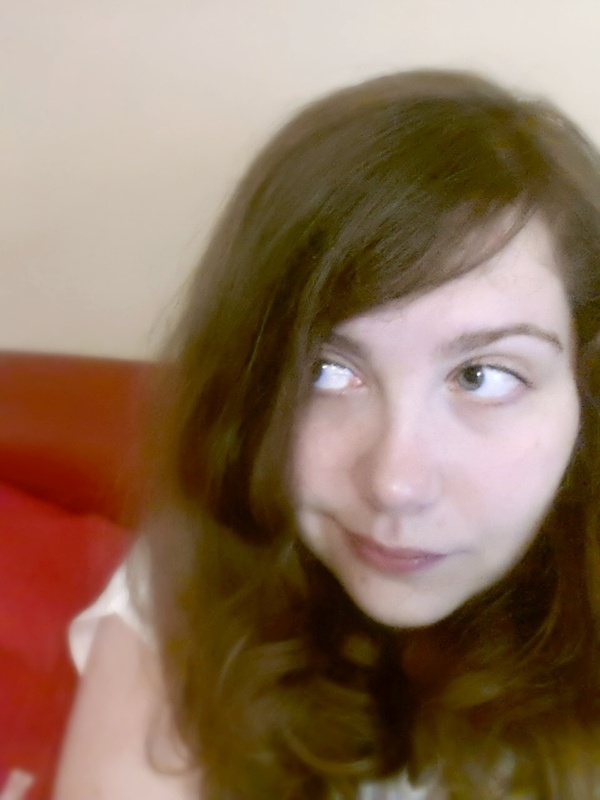 I’m Anna, the voice behind Dublin Drinks Coffee. My caffeinated adventure started a few years ago, when brewing and steaming in one of local coffee shops. Since then I’ve enjoyed a lot of great cups across Dublin and I share all my stories with on www.dublindrinkcoffee.com. Dublin is full of independent cafes and coffee houses that enrich our culinary scene every day. Browse through lists of unique and local cafes, events, books/movie recommendations and other caffeinated treats to enjoy!